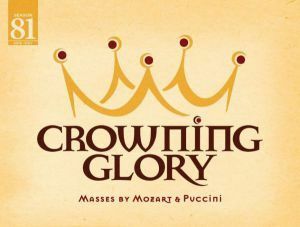 Works by Mozart and Puccini fill the air as The Choral Society of Pensacola performs “Crowning Glory” at 7:30 p.m., Saturday, March 25, at First United Methodist Church, 6 E. Wright St., downtown Pensacola. The concert features Mozart’s “Coronation Mass” and Puccini’s “Messa di Gloria,” that were written when their composers were in their 20s. Composed a century apart, these settings of the Ordinary of the Roman Catholic Mass represent two contrasting styles – the elegant classicism of the 18th century and the lyric romanticism of the 19th century. Guest soloists are from Pensacola Opera’s Artists in Residence program, beginning a new partnership between two of Northwest Florida’s most significant musical organizations. Soloists are Evelyn Saavedra, soprano; Gillian Cotter, mezzo-soprano; Frederick Schlick, tenor; and Brent Hetherington, baritone. In its 81st season, The Choral Society’s 60-voice community choir and orchestra comprise some of the area’s finest musicians, all under the direction of Xiaolun Chen. Tickets are $20 and $25 and are available at eventbrite.com, or 850-484-1806, or at Blues Angel Music, 657 N. Pace Blvd. The Choral Society of Pensacola is a nonprofit organization dedicated to the study, performance and presentation of vocal music in its many forms; to the improvement of its members’ musicianship; and to engagement in the regional arts community. The chorus is made up of community volunteers, under the director of Xiaolun Chen, and it presents three or four major concerts annually and conducts a variety of other activities. The Choral Society of Pensacola is funded in part by the State of Florida, Department of State, Division of Cultural Affairs; the Florida Council on Arts and Culture; Art, Culture, and Entertainment, Inc.; Pensacola State College; and area businesses, corporations and individuals.